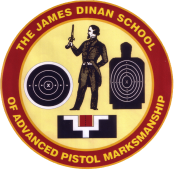 James Dinan is a firm believer in the right to bear firearms but with one condition: No one should utilize this right until he or she has proven their ability to handle a firearm safely and with a reasonable degree of accuracy. His main ambition is to make all American citizens proud of their ability and accomplishments as safe and effective gun handlers by his continued instruction and encouragement. Member of USMC Rifle and Pistol Team. Police Firearms Instructor for the Suffolk County Police Department and various small village departments. Federal Bureau of Investigation Firearms Instructor School. The U.S. Marine Corps Excellence-in-Competition (EIC) Rifle Badge and the U.S. Marine Corps Excellence-in-Competition (EIC) Pistol Badge. Commonly known as "Leg" medals. 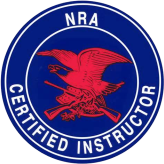 The U.S. armed forces awarded Excellence-in-Competition (EIC) Badges to their members based on the CMP's records of leg points earned at a rifle and/or pistol match and in accordance with that member's service regulation(s). For example, the U.S. Navy and U.S. Marine Corps awards their Bronze EIC Badges when a sailor/marine earns six leg points when competing in an authorized excellence category of competition, their Silver EIC Badges when eight leg points have been earned, and their Gold EIC Badges when ten leg points are earned. Awarded to an elite group of shooters who have succesful shot above 2600 points of the total 2700 points achievable in the below course of fire. All courses of fire are from a standing position using a one-handed grip at two different targets depending on the distance and type of match. The slow-fire targets have the 810 rings inside the bullseye and the rapid fire targets have only the 9 and 10 rings inside the black. The match format, the competitor are required to shoot as many as 90 rounds from each of three handguns. Each shot scores a maximum of 10 points. Hence, a three-gun competition is a "2700". A shorter form is the National Match Course consisting of a single Slow Fire, a Timed and a Rapid Fire target, 30 shots for a maximum score of 300. Outdoor competitions are typically fired at 50 yards (46 m) for slow fire courses and 25 yards (23 m) for timed and rapid fire courses. A "short course" shoots only at 25 yards and uses a reduced-size target for the Slow Fire segment. 1 National Match Course consisting of one 10-shot slow fire string at 50 yards, two 5-shot strings of timed fire at 25 yards, and two 5-shot strings of rapid fire at 25 yards. 4 strings of timed fire. Each string consists of 5 shots in 20 seconds at 25 yards at a NRA B8 target. The bullseye diameter is 5.5 inches (14 cm). 4 strings of rapid fire. Each string consists of 5 shots in 10 seconds at 25 yards at a NRA B8 target. The bullseye diameter is 5.5 inches.